Crowd lined up to see President Trump in El Paso, Texas. Music is playing and Trump supporters are lined up wearing their MAGA hats. 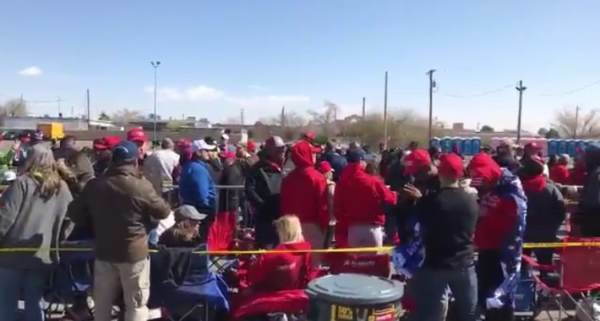 Trump MAGA Rally Pre-Show in El Paso, TX Right Side Broadcasting is live now. Trump gave a great SOTU speech---given how those things tend to go---but I think he is still being pushed around by the old guard. I hope this starts to change for him.